STEPCRAFT D-Series have been specifically developed for the use in the private and small business sector as well as in educational institutions. They can be equipped with a multitude of different tools which allows you to employ our CNC Systems for a large variety of applications. Our D-Series machines are available in five different versions. They do not vary in functionality but only in size. This way, you can choose the machine that not only offers the optimal space for your ideas but also fits into your local conditions perfectly as well. Each of our D-Series systems is obtainable as a Construction Kit or as a Ready-to-Run System. The decision is up to you: Do you want to assemble your machine single-handedly or shall we take over this task for you? 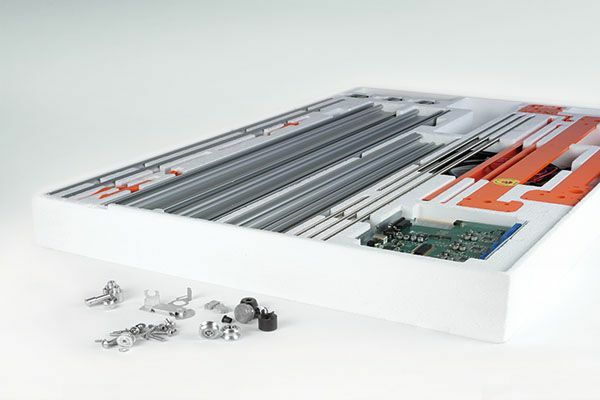 With the EasyBuild Construction Manual and video support at the most important stages you can assemble the STEPCRAFT D-Series system in only a couple of hours. This not only saves money, you will know every single detail of your machine afterwards and can perform maintenance works and adjustments on your own. Unpack and get started. With the Ready-to-Run Systems we take over the assembly of your D-Series system and deliver it to you perfectly assembled and aligned. This way you can proceed directly with the realization of your ideas.